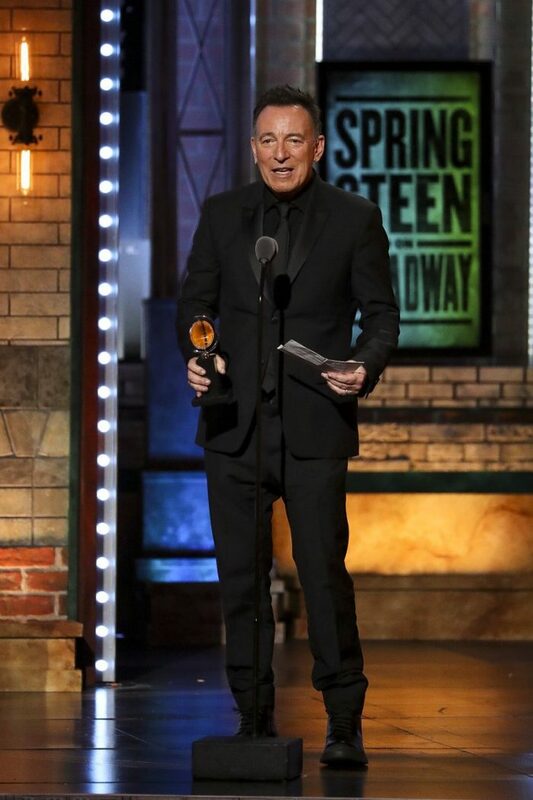 Bruce Springsteen was presented with a Special Tony Award last night from Billy Joel "for his ongoing engagement Springsteen on Broadway, a once-in-a-lifetime theater going experience for the Broadway stage, allowing fans an intimate look at a music idol." 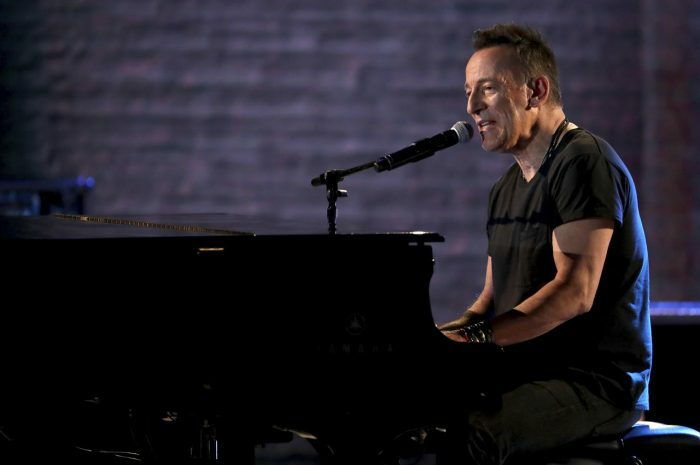 Before performing a selection of "My Hometown" from the show, Bruce thanked the Broadway community "for making me feel so welcome on your block. Being a part of the Broadway community has been a great thrill and an honor for me. It's been one of the most exciting things that I've ever experienced." Bruce continued, "I’ve got to thank Patti Scialfa, my beautiful wife and artistic partner, for her love and inspiration every night. I’ve got to thank Jon Landau, George Travis, Barbara Carr, and Jordan Roth for great work of getting our show on stage. And last but not least, our wonderful audiences who’ve made these shows so exciting and fulfilling. Evan, Jesse, Sam, Daddy loves you. And the fans have been wonderful to me this season. Thank you so much. God bless all of you."